These units can be incorporated into an automatic process line together with an electric drive motor. The half magnetic drum roller is mainly used to remove or sort ferrous fines, tramp iron and other ferromagnetic materials from bulk dry materials such as grain, sand, gravel, plastics, recycling etc. 1. 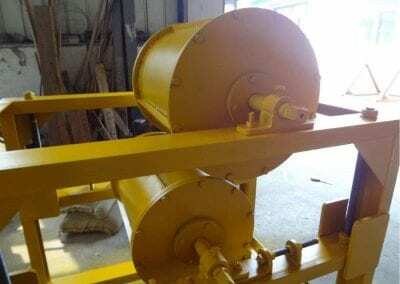 The Half Drum is called this due to having a half magnetic disc 180 degrees stationary magnetic section that is covered by a revolving stainless steel outer casing. The contamination attaches itself to the magnetic area and the raised cleats drag the contamination out of the magnetic field depositing it separately from the clean product. 2. The continuous self-cleaning design is suitable for automated production lines, especially for high contamination products as the contamination is ejected with every turn of the roller. 3. Surface material can be 304 or 316 stainless steel for good corrosion resistance. 4. No electric power needed for the magnetic field. 5. Magnetic strength can be chosen for the application required. 6. 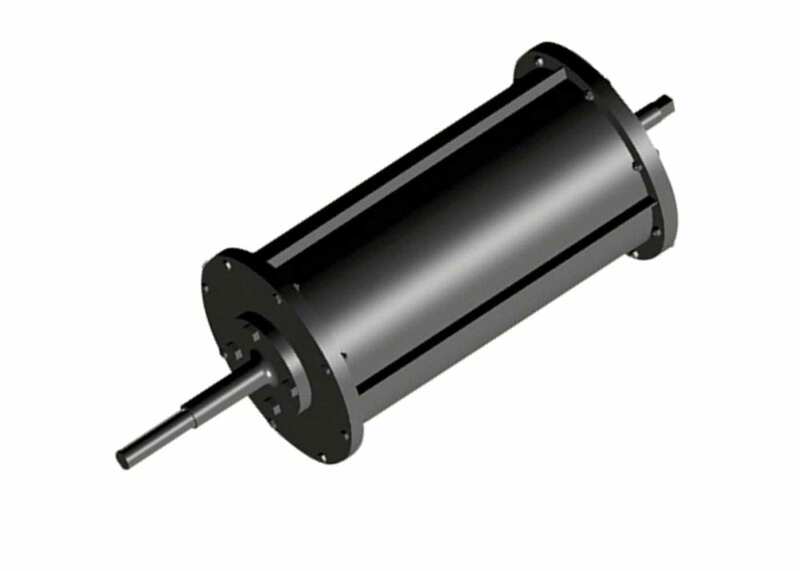 Standard drum diameters available with custom built unit options available.